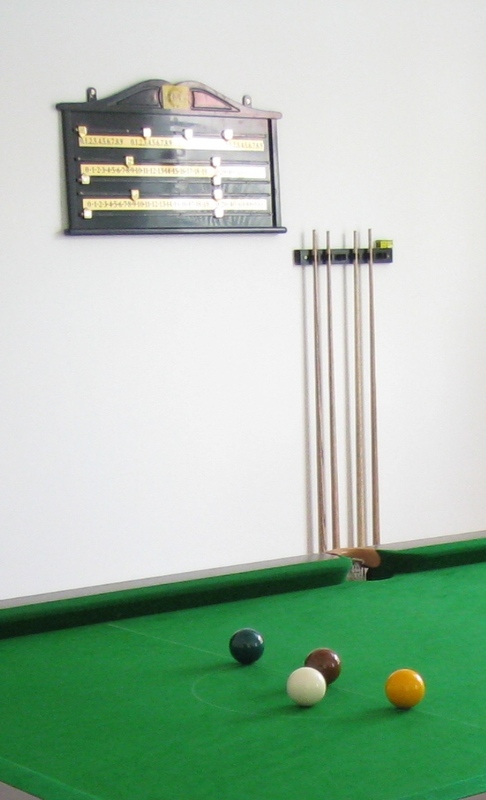 The same as a full size 12ft snooker table but cut down to 8ft to fit in your home or office. Solid wood, top quality table.  Solid frame made from asian hardwoods stained in a mahogany finish.  Simple but elegant old world design.  Three-piece slate (1½ inches thick) for a level playing surface. 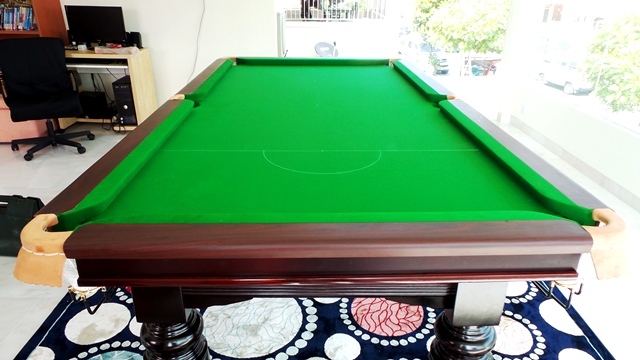  Cloth: Traditional green cloth from the UK. Do you do delivery and install in Penang? Can you give me a quote and package to include? This table is made in? Delivery and Installation in Penang RM 1750. Solid frame made from asian hardwoods stained in a mahogany finish. Three-piece slate (1½ inches thick) for a level playing surface. Cloth: Traditional green cloth from the UK. do you required monthly payment? Hi Amirul, 50% Deposit upon receiving your order and balance before shipping.